"... Hey guys.. well thought it would be good for female to review this. I really do love it. My friend told me about it and since my body is used to coffee and other stims I needed something with an extra kick. This is it. Wired and ready to go anytime. Excellent!" I'm using this product. I've used it in the past. I'm planning to use it. Packed with potent energy ingredients to take it up that notch! Hey friends, welcome back and this time you're going to love what you see! It's no question the EVL supplements have taken over the industry through properly dosed supplements and the highest end ingredients. When it comes to pre-workouts, there are plenty of options out there but when you look for pure adrenaline, power, focus and concentration. 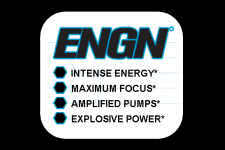 Look no further, ENGN is here. A creatine complex paired with a good dose of Beta-Alanine.. but the magic happens when you take a closer look at their Mind-to-Muscle Matrix Proprietary Blend! You'll power through any workout and push through new plateaus. To make those new gains and progress, it's all about pushing the muscles to new limits so they can repair and grow strong.. ENGN will help you make that leap. 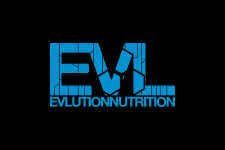 With the amazing popularity of the original formula, EVLution Nutrition has come up with two alternatives. 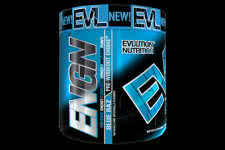 One is ENGN Zero for a healthier natural route and ENGN SHRED to help you burn unwanted fat while you train! Now also available without caffeine in Blue Raz or Fruit Punch Flavors! Unmatched mental focus and concentration for every workout!